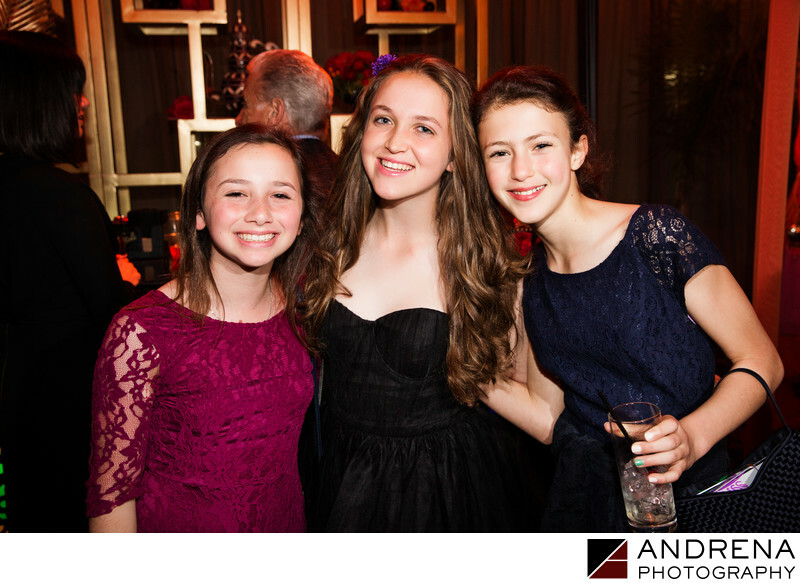 Kids at Los Angeles Bar and Bat Mitzvahs love taking photos. Whether it's photographs like this one taken by our team, silly photo booth images or selfies with their iPhones, this generation does not appear to be camera shy. Still, in all the hubbub of the party, with food stations, dancing and games, it takes a keen photographic eye to seize the moment when the perfect opportunity arises for a cute group shot. We know that seeing the faces of your guests in your photo gallery brings back fond memories of the night, so we always aim to provide the fullest possible coverage of everyone in attendance.